I drank three sensationally good bottles of wine over the weekend. When you can drink wines as good as this, it makes ‘damp’ (as opposed to dry) January so much more bearable! A single-vineyard unfortified Palomino Fino that has been aged in old sherry casks, this is a quite unique and compelling wine; light, fresh, toasty, bready, with delicate apple fruits and a beguiling saline finish. Brilliant wine. 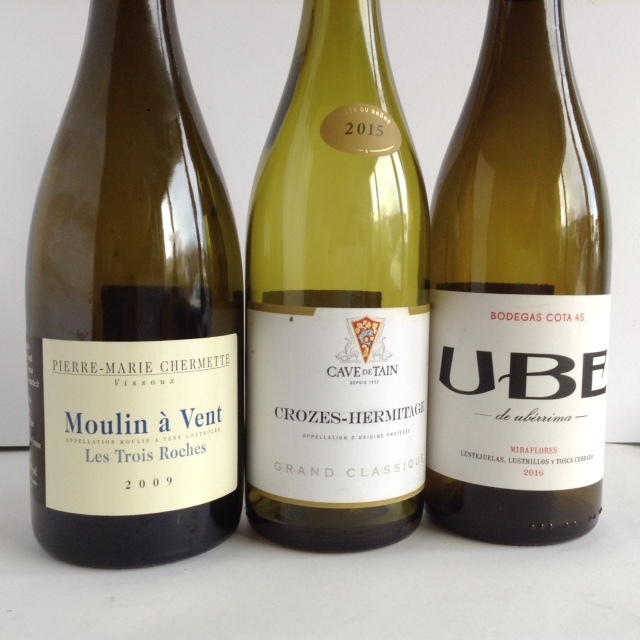 €23 from Green Man Wines, Terenure & 64Wines, Glasthule. Last week I did an unusual thing for a wine journalist; I went out and bought a case of wine! I receive so many samples, I am rarely short of wine to drink. The opposite is usually the case. However, this is an exceptionally good wine at a great price. Possibly not a surprise, as 2015 was a great vintage in the Northern Rhône, and the Cave de Tain one of the best co-ops in France. Elegant, perfectly ripe dark fruits, just enough acidity and nicely integrated tannins. Yum! I bought six bottles of this six years ago; the 2009 vintage was very highly touted back then and time has proved the critics right. This is a gorgeous wine, soft ripe and rounded with intense perfectly ripe dark fruits, and a great finish. A bit riper than most vintages, but a hedonist’s delight. Terroirs in Donnybrook list the 2013 for €29.50.